When a cardiac arrest occurs, the fact is that only half of the victims will need a shock. The other half requires cardiopulmonary resuscitation (CPR). Not pushing fast enough? A metronome will lead you right. 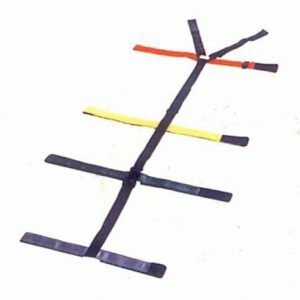 Zoll's one-piece electrode pad provides fast and accurate placement. 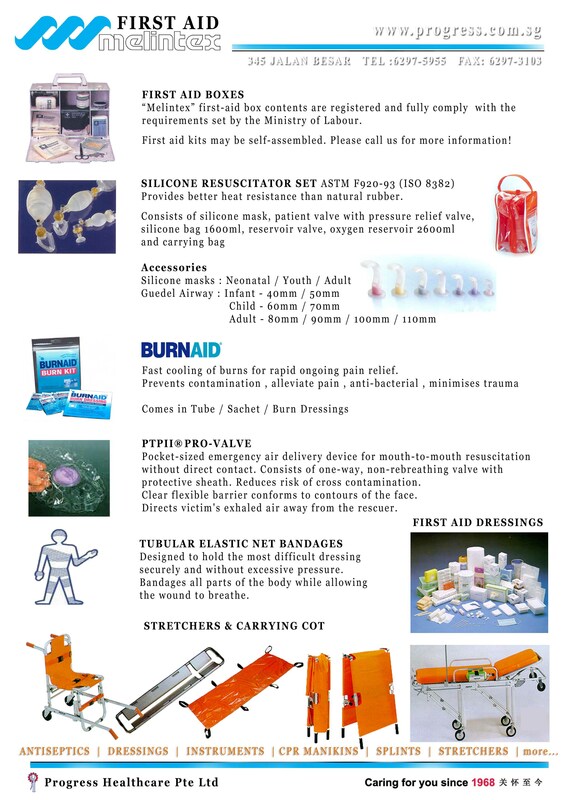 The CPR-D•padz comes complete with a CPR barrier mask, scissors, disposable gloves, a prep razor, a towel, and a moist towelette. ZOLL believes AEDs should not just deliver a shock. 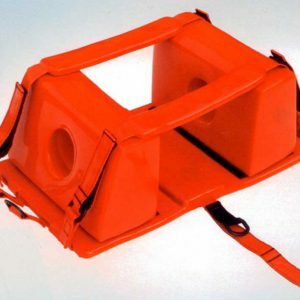 They should also help the rescuer provide high-quality cardiopulmonary resuscitation (CPR). 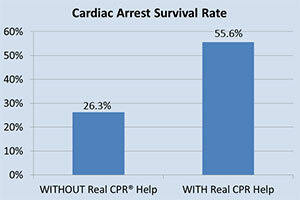 That’s why you need ZOLL AEDs, the AED Plus with Real CPR Help. Help to all SCA victims, even those for which no shock is advised. ZOLL AED Plus was the first to introduce technology to help improve CPR performance in 2002, and Real CPR Help is now a standard feature on all ZOLL AEDs and defibrillators. This gives rescuers the best real-time CPR feedback and the confidence that they are providing the best cardiopulmonary resuscitation (CPR) possible. With ZOLL technology, rescuers receive the following CPR feedback and prompting for help in providing effective manual CPR. Compression Depth Indicator – to achieve at least a two-inch compression depth, which is critical for high-quality CPR, as detailed in the 2010 American Heart Association (AHA) Guidelines. Compression Rate Indicator – to achieve the recommended compression rate of 100 compressions per minute through a metronome beep that is easy to follow. 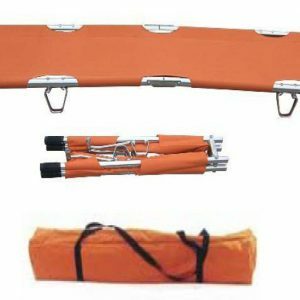 Release Bar – measures release velocity to determine that rescuers are allowing sufficient time for cardiac filling. Perfusion Performance Indicator (PPI) – integrates compression depth, rate, and interruption times into one visual indicator. 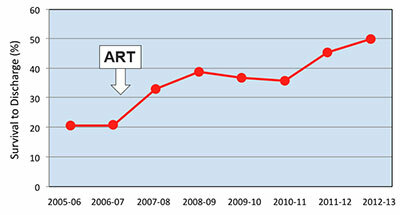 Maintaining maximum value (full indicator) provides visual indication of performance to AHA Guidelines. Audio/Message Prompting: Voice and message feedback such as “PUSH HARDER” helps accomplish quality compressions quickly, resulting in a reinforcing message, “GOOD COMPRESSIONS.” To minimize CPR idle time, “CONTINUE CPR” is another important feedback reminder. Code Data Transmission: All of our product lines have the capability to transmit CPR data, making complete resuscitation review and playback easy. Real CPR Help is accomplished with our quick and easy to apply OneStep™ Electrode Pads, CPR-D-padz®, and CPR Stat-padz. There is no compromise to code readiness with cumbersome extra electrodes to manage and position on the patient before you get valuable CPR data. According to the Heart Rhythm Foundation, Sudden Cardiac Arrest (SCA) is a leading cause of death in the United States, accounting for an estimated 325,000 deaths each year. Sudden cardiac arrest (SCA) is an electrical disturbance in the heart that prevents it from beating properly. During SCA, the ventricles flutter in a phenomenon known as ventricular fibrillation, making them unable to deliver blood to the body. The heart responds by quivering, rather than beating in a normal fashion. Blood flow to the brain is reduced to the point that the person loses consciousness and collapses. Unless emergency treatment is provide quickly, death usually follows. There are no warning signs associated with SCA. It often affects those who have experienced previous episodes of SCA, heart attacks, or heart failure; but it can also strike someone with absolutely no history of heart problems. 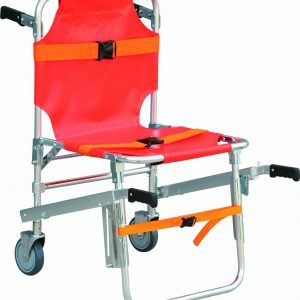 Medical attention must be administered as soon as possible after the victim collapses; the chances for survival decrease 10% with every minute you wait. The average SCA victim is middle-aged or elderly, although some victims are in their 30s or 40s. More than 70 percent of SCAs occur in the home, which is why home AEDs have the potential to save the lives of countless loved ones struck by cardiac arrest. ZOLL’s AED Plus® is in full compliance with American Heart Association 2010 Guidelines and European Resuscitation Council 2010 Guidelines. The most important change in the American Heart Association’s 2010 Guidelines is the recommendation that chest compressions need to be at least 2 inches deep. Previous Guidelines had called for chest compressions between 1½ and 2 inches deep, but research has shown significant improvement in survival among cardiac arrest victims who receive compressions at least 2 inches deep. Real CPR Help® in the AED Plus guides the rescuer to perform chest compressions that are at least 2 inches deep at a rate of 100 per minute. If chest compressions fall short of 2 inches, the AED Plus will prompt the rescuer to “PUSH HARDER” and will only say “GOOD COMPRESSIONS” after compressions reach at least 2 inches deep. Real-time feedback from the bar gauge on the screen display also shows when compressions have reached the correct depth. The circle of graphic icons on the face of the AED Plus has been simplified as well to comply with the AHA’s recommendation that rescuers should no longer open the airway, check breathing, and give two breaths prior to the first heart analysis. 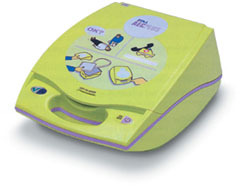 With the AED Plus, rescuers don’t have to guess the depth of their chest compressions. They will know when their compressions are reaching the recommended depth of at least 2 inches. In the pre-hospital setting, ZOLL technology and training combined to more than double the odds of survival to discharge for patients in Arizona. 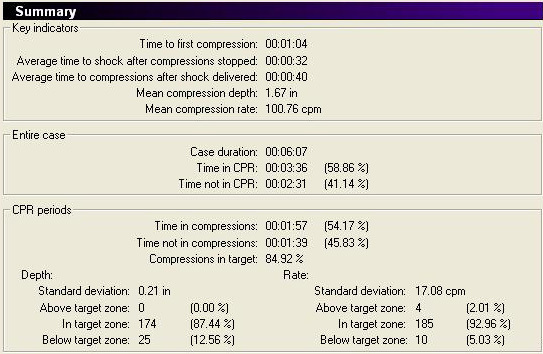 This dramatic improvement was achieved when emergency responders in Mesa used ZOLL defibrillators with Real CPR Help® and CPR Dashboard™ and received specialized (scenario-based) training. With these technologies, rescuers know if they are pushing hard enough and fast enough to meet current CPR Guidelines and also know how long they have been off the chest when compressions are paused.